Only mammals can get rabies; birds, fish, reptiles and amphibians do not. Most cases of rabies occur in wild animals�mainly skunks, raccoons, bats, coyotes, and foxes. In recent years, cats have become the most common domestic animal infected with rabies. This is because many cat owners do not vaccinate their cats before the cats are exposed to rabid wildlife outdoors. Rabies also occurs in dogs and cattle in significant numbers and, while not as common, has been diagnosed in horses, goats, sheep, swine and ferrets. Improved vaccination programs and control of stray animals have been effective in preventing rabies in most pets. Approved rabies vaccines are available for cats, dogs, ferrets, horses, cattle and sheep. Licensed oral vaccines have been used for mass immunization of wildlife. Once the rabies virus enters the body, it travels along the nerves to the brain. Dogs, cats, and ferrets with rabies may show a variety of signs, including fearfulness, aggression, excessive drooling, difficulty swallowing, staggering, and seizures. Rabid wild animals may only display unusual behavior; for example, an animal that is usually only seen at night may be seen wandering in the daytime. In addition to those signs seen in dogs and cats, horses, cattle, sheep, and goats with rabies may exhibit depression, self mutilation, or increased sensitivity to light. Rabies vaccination and animal control programs, along with better treatment for people who have been bitten, have dramatically reduced the number of human cases of rabies in the United States. Most of the relatively few, recent human cases in this country have resulted from exposures to bats. A few rabies cases have resulted from corneal or organ/tissue transplants from an infected donor, but these have been extremely rare. Dogs are still a significant source of rabies in other countries, so travelers should be aware of this risk when traveling outside of the United States. Don't leave exposed garbage or pet food outside, as it may attract wild or stray animals. Observe all wild animals from a distance. A rabid wild animal may appear tame but don't go near it. Teach children NEVER to handle unfamiliar animals�even if they appear friendly. Urge the victim to see a physician immediately and to follow the physician's recommendations. Check with your veterinarian to determine if your pet's vaccinations are up-to-date. Report the bite to the local health department and animal control authorities. If your pet is a cat, dog or ferret, the officials will confine the animal and watch it closely for ten days. Home confinement may be allowed. Don't let your pet stray and don't give your pet away. The animal must be available for observation by public health authorities or a veterinarian. After the recommended observation period, have your pet vaccinated for rabies if its vaccination is not current. Even if your dog, cat or ferret has a current vaccination, it should be revaccinated immediately, kept under the owner's control, and observed for a period as specified by state law or local ordinance (normally 45 days or more). 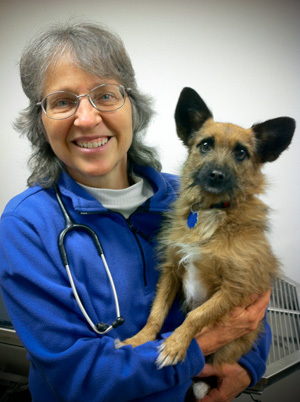 Animals with expired vaccinations will need to be evaluated on a case-by-case basis. Dogs, cats and ferrets that have never been vaccinated and are exposed to a rabid animal may need to be euthanatized or placed in strict isolation for six months. Don't panic, but don't ignore the bite. Wash the wound thoroughly and vigorously with soap and lots of water. Call your physician immediately and explain how you were bitten. Follow the doctor's advice. If necessary, your physician will give you the post exposure treatment recommended by the United States Public Health Service and may also treat you for other possible infections that could result from the bite. If possible, confine or capture the animal under a large box or other container if that can be done safely. Once captured, don't try to pick up the animal. Call the local animal control authorities to collect it. If the animal cannot be captured, try to memorize its appearance (size, color, etc.) and where it went after biting you.